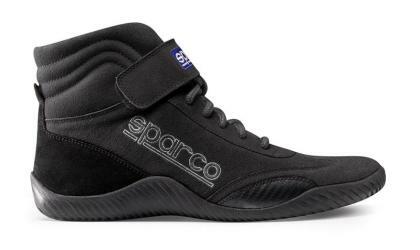 Developed exclusively for the U.S. market, the Race driving shoe provides comfort and control. It features a wide toe box and an extra cushioned sole for greater comfort and an additional comfort cell on the ball of the foot to help reduce shock and vibration. 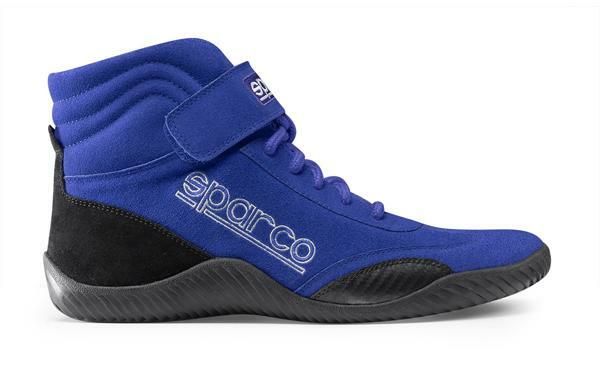 Stylistically, the Race shoe offers an aggressive design with a suede upper and boot cut design with Velcro closure. Available in black, blue and red in sizes from 7.5 to 13. The Race is SFI approved.